Home / Humble student of the markets / Defensive and Value leadership = Bear market? Mid-week market update: I am publishing my mid-week market update early in light of the recent market volatility. I use the Relative Rotation Graphs, or RRG charts, as the primary tool for the analysis of sector and style leadership. As an explanation, RRG charts are a way of depicting the changes in leadership in different groups, such as sectors, countries or regions, or market factors. The charts are organized into four quadrants. The typical group rotation pattern occurs in a clockwise fashion. Leading groups (top right) deteriorate to weakening groups (bottom right), which then rotates to lagging groups (bottom left), which changes to improving groups (top left), and finally completes the cycle by improving to leading groups (top right) again. RRG analysis through a style, or factor, lens. Growth styles have been weak and they are located in the bottom half of the chart. By contrast, value styles such as dividend growth, high quality, large cap value are ascendant. The RRG chart through a sector rotation lens tells a similar story. High beta sectors, such as technology, communication services, and consumer discretionary stocks are in the bottom half, indicating weakness. By contrast, defensive sectors such as healthcare, utilities and consumer staples are strong. This kind of market action can be interpreted in two ways. On one hand, it is not unusual to see defensive sectors become the sector leaders during a market pullback. Once the bulls regain their footing, the high beta sectors can regain their footing and lead the market upwards again. On the other hand, the emergence of defensive and value leadership can be a signal of a regime shift where the bears are slowly taking control of the tape. We can see signs of a reversal in the relative performance of growth and value stocks. 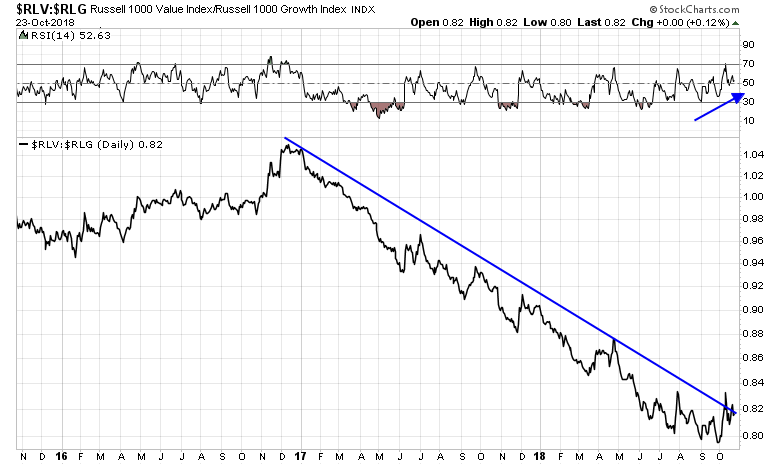 The Russell 1000 Value to Russell 1000 Growth ratio bottomed recently while exhibiting a positive RSI divergence. Does this mean value is beginning to turn up? The emergence of defensive sectors is actually global in nature. 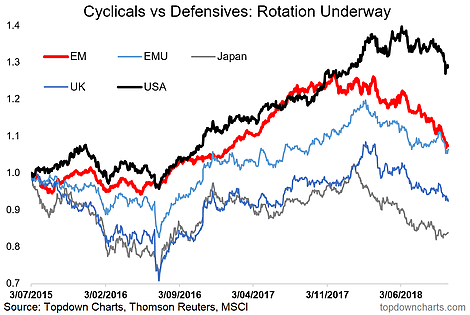 Callum Thomas of Topdown Charts documented how the cyclical to defensive performance ratio has been rolling over all around the world. The US is just a little late to that party. Bespoke also analyzed cyclical to defensive performance in two ways. 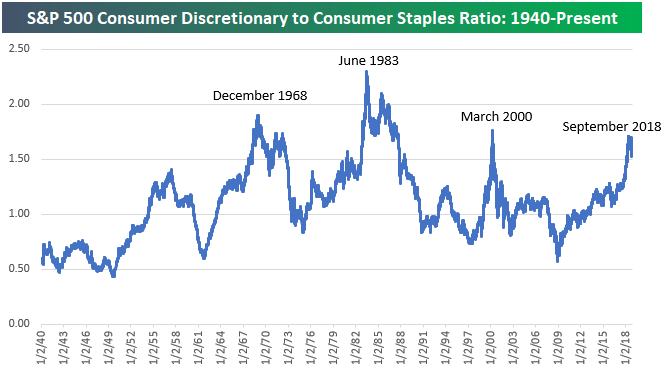 The consumer discretionary to consumer staples ratio recently peaked at what may be a cycle high. 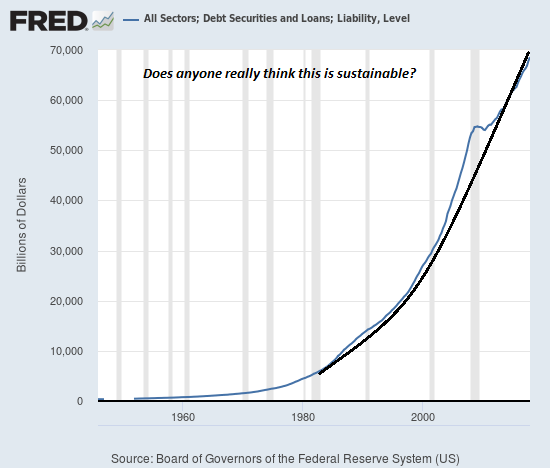 The last peak occurred in March 2000, which coincided with the top of the NASDAQ bubble. 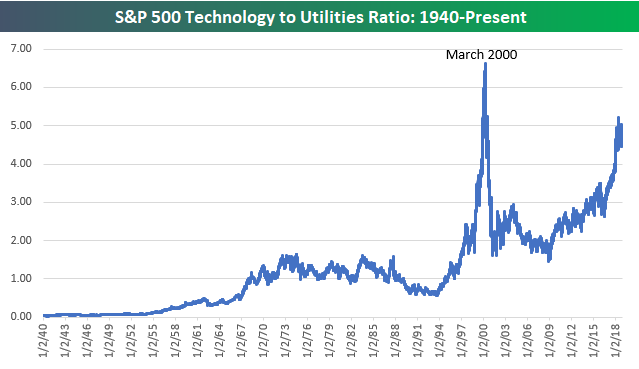 The technology to utility stock ratio looks even more ominous and speaks for itself. The bifurcation of the high beta vs. defensive stocks is evident within sectors as well. The chart below shows the relative performance of healthcare stocks and the relative performance of biotechs, which are part of the healthcare sector. The two have been tracking each other closely until early September, when the main healthcare sector began to outperform the market while the high beta biotech stocks lagged. The sector weighting chart shows the challenges facing the bulls. While healthcare is the second large weight in the index, other heavyweight sectors such as technology, financials, consumer discretionary, and communication services have been weak. How can the index rise in the face of such weakness? 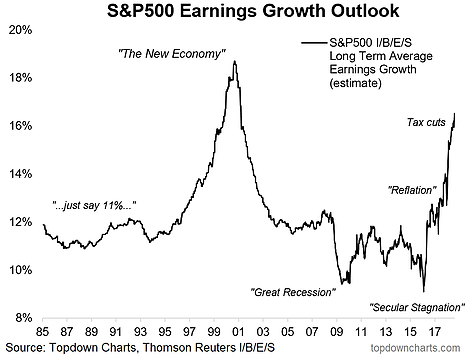 Callum Thomas also highlighted this rather ominous analysis showing the long-term earnings growth expectations from IBES. Are these growth estimates sustainable in the face of the poor relative performance of cyclical vs. defensive sectors? 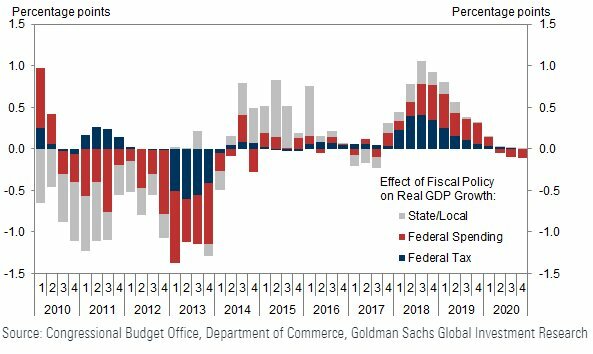 These growth projections are occurring during a backdrop when the fiscal stimulus boost from the tax cuts are starting to fade. 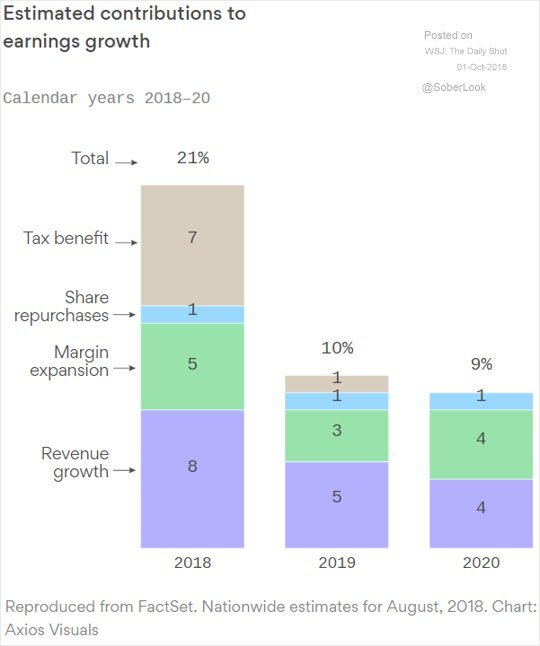 From a bottom-up viewpoint, the benefits of the tax cut to earnings growth is expected to shrink dramatically in 2019. As well, investors shouldn’t expect similar boosts from factors such as revenue growth and margin expansion. 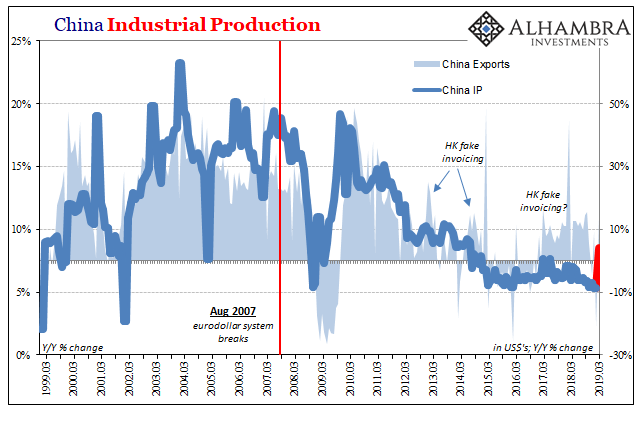 “My guess is that we’re going to have a bigger correction than we’ve had yet,” said Paulsen on CNBC’s “Trading Nation” on Friday. “I think a good gut check to sentiment, like a 15 percent correction, might be just the ticket to extend this bull market,” he added. “What we need is a lower valuation, I think, to sustain a different environment if this recovery is going to continue,” he said. “I don’t think we can handle that environment at 20-some-times trailing earnings, probably more like 15 to 16 times trailing earnings and we’re a ways from that,” the investor added. “It’s probably time to get more defensive and not have as much octane on from here as you have earlier in this bull market,” said Paulsen, highlighting safety sectors such as utilities, staples, and real estate investment trusts (REITs) as good bets in this environment. From a technical perspective, here is the test for the bulls and bears. 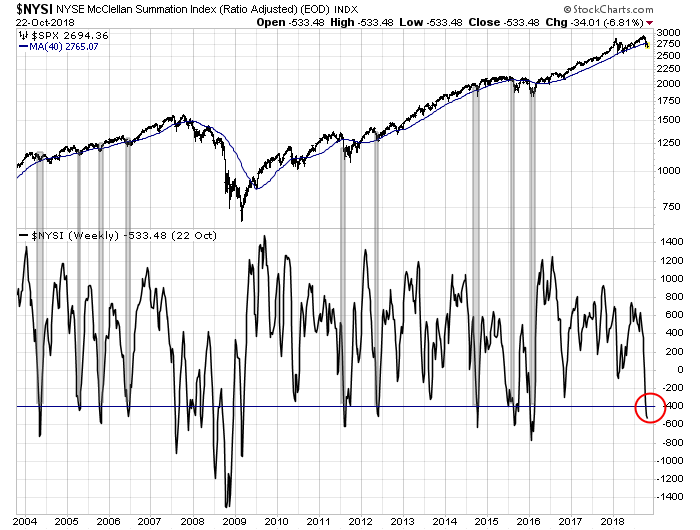 The McClellan Summation Index is at levels consistent with bounces if this is a pullback within a bull market, but it could fall further if a bear market has begun. In short, the market is short-term oversold and poised for a bounce, if the primary trend is still bullish. If the trend is indeed changing, then the market is insufficiently oversold to bounce. Watch to see if the oversold rally materializes. If it does, watch the evolution of sector and style leadership. Can the high beta and high octane sector regain the upper hand? Those will be the key tests for the bulls and bears in the days to come.